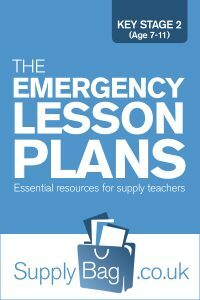 These emergency lesson plans are meant to be used by supply teachers, when no planning is available. Please follow the guidance here. Click on the relevant subject to access my emergency, one-liner lesson plans for Year 3. Other subjects are available in the download featured above. Before using these plans, please make every effort to follow any that have been left, talk to the children and other staff. These are meant for emergencies only, when you have been called in at short notice and have no other choice. They are however, based on the curriculum, and so you can use them with confidence.